I'm still thinking about how Mr. Rohrig repeatedly and knowingly broke rules/policies and then wrote a book about it all. Reminds me of when I post trip reports with photos of the "No Trespassing" signs along the way. Finished up with King's "'Salem's Lot" this afternoon. Good book. Kept me hooked pretty good. Two more books are awaiting me at the bookstore. Looking forward to new material. Reading has began to vary in subject. Fictional, non-fictional, adventure, etc. A good mix here and there is pleasant. The Shining is a damned good book. A great book to let yourself fall wholly into with full imagination. Much better than the movie, per usual. Welcome to the Goddamn Ice Cube brought some insight into the way of living in extreme northern regions. Somewhat interesting yet overall, meh. A portion describing the night when the writer dug several feet deep down into the frozen tundra was the best. She'd dug several feet straight down, then several feet horizontally; this way she could get into her sleeping bag and be insulated while lying on her back (the hole was "L-shaped"), trapping her body heat underneath the accumulated feet of snow thus keeping warm through the night's frigid hours. Apparently, the hole was just a little larger than her own body. She awoke the following morning with the grand surprise that a blizzard had filled the hole back in overnight and was frozen hard. She couldn't move and was confined to a space about like a casket. This description gave me the claustrophobic feels. 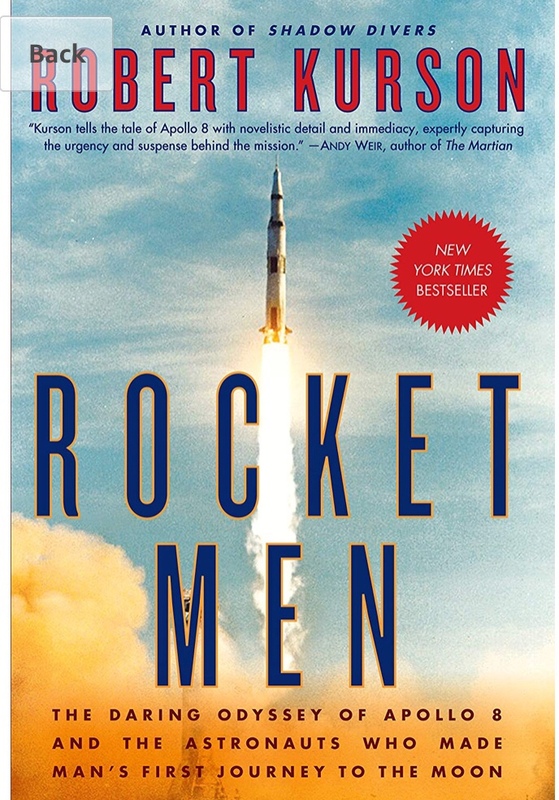 50 years on Rocket Men tells the story of Apollo 8, the first mission to the moon! I listened to the Audible version and found it fascinating, so much so that after listening to the entire book in 3 days I then watched Apollo 13, one of my favorite all time movies! BBC program on the mission with interviews with the astronauts and the author! I'm on the final homestretch of this series. Malcolm turned me on to it. Just finished "Night Shift" by Mr. King. Enjoyed most of them; a nice change of pace. Finished up with King's "The Dead Zone" late last night. What a great book. Surprising to me that it's not more popular as many of his other works are. A nice change up. Female authors offer a fresh spin with their own honest perspectives regarding people, situations, etc. Currently I'm reading the "One Second After" series. Very good so far. I've got three books started. For over four months. Work, work, work. Family life, fly tying, garden work, rod building get in the way. An upcoming balcony on the Gulf coast might be the ticket. You cannot see attachments on this board.One Second After by William Forstchen. This was a great book. An eye-opener into what seems to be a very real and possible threat to our country. Iâ€™ve purchased the other two novels in this trilogy. Look forward to getting into those as well. This second novel in the trilogy is as good or better than the first. I'm looking forward to the third and final installment.You cannot see attachments on this board. I never thought about World War One prison escape stories. I was, from an early age, captivated by Steve McQueen in The Great Escape! I found this audiobook, The The Escape Artists: A Band of Daredevil Pilots and the Greatest Prison Break of the Great War by Neal Bascomb, in my local library's digital collection. 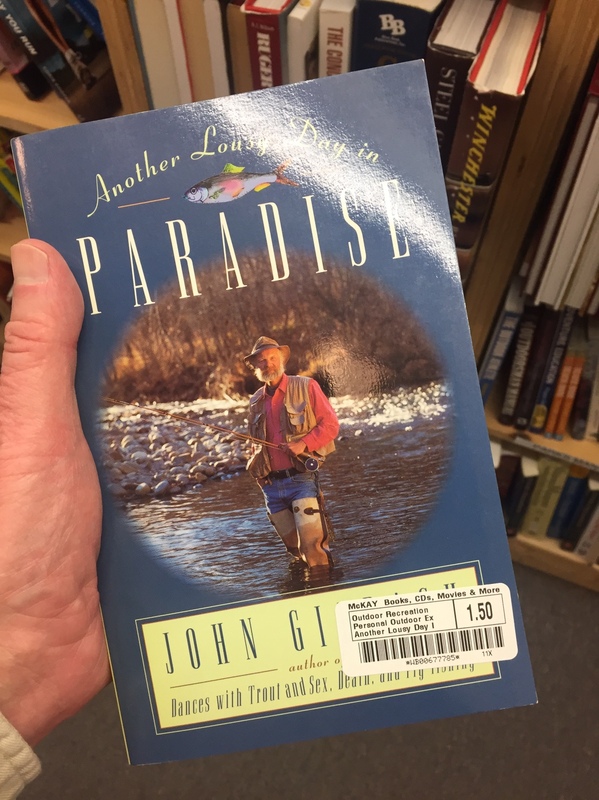 It is a fascinating look back in time and I'm enjoying the stories of hardship, perseverance, failed attempts, and small successes. Check out the RB Digital app for access to your library's audiobook collections. The First Great Escape movie, a 44 minute BBC documentary about the main escape in the book in the above post, The Escape Artists, is available on Amazon and Free with Prime.